Cast Iron plates are virtually indestructible, and will stand up to any workout. Plates come in two sizes indicated by the diameter of the center hole. Standard size plates fit a 1" weight bar, and Olympic size plates fit a 2" Olympic weight bar. If value and toughness is what you want, these plates are for you. Steel Grip plates have a Hammertone gray finish, and their quad-grip design enables easy plate movement. Additional accuracy ensures their weight to within 2% margin. Rubber Grip quad plates are encased in durable heavy duty rubber that won't split or crack. Goes easy on the floor and equipment preventing damage and noise. An integrated metal sleeve slides easily onto any bar. Rubber Bumper Plates are 100% solid resilient rubber with white markings. Bumper plates are all the same dia. with different thicknesses. Integrated metal sleeve. Commercial bumpers can withstand more abuse. 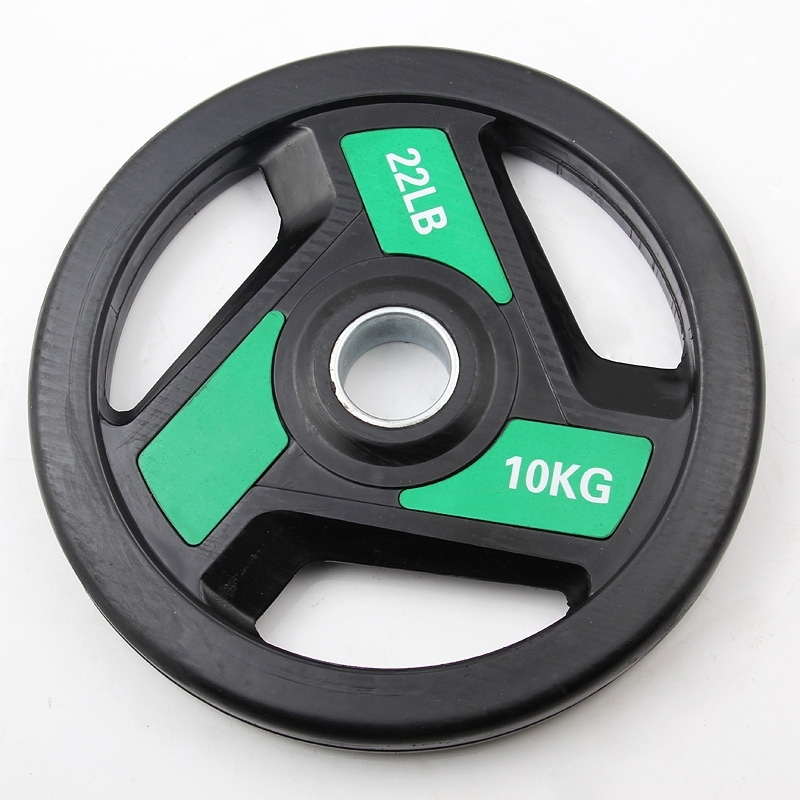 Three Handle Barbell Rubber Weight Plates, include Kg/LB Change Plates, Fractional Change Plate, Competition Plates, Training Plates, Standard Weight Plates and so on. Looking for ideal Three Holes Barbell Weight Plates Manufacturer & supplier ? We have a wide selection at great prices to help you get creative. All the Three Handle Barbell Weight Plates are quality guaranteed. 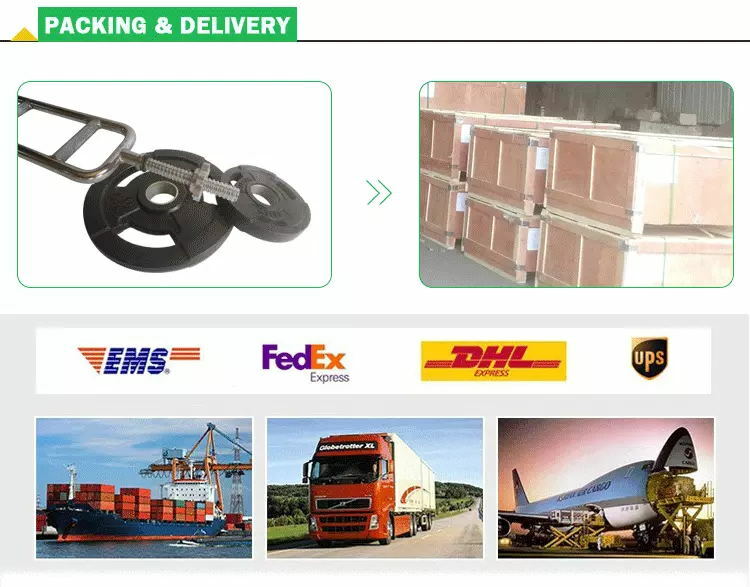 We are China Origin Factory of 20 Rubber Weight Plates. If you have any question, please feel free to contact us.